The Workplace Safety and Insurance Board of Ontario (WSIB) has “become a service whose prime objective is simply to not serve,” a Sudbury psychologist says. Sudbury psychologist Dr. Keith Klaasen says WSIB claimants “are told that they don't really read our reports and that our opinion isn't really important." The Workplace Safety and Insurance Board of Ontario (WSIB) has "become a service whose prime objective is simply to not serve," a Sudbury psychologist says. Dr. Keith Klaasen, who has been working with people who have suffered brain injuries and post-traumatic stress disorder for the last 22 years, is part of a group of Ontario psychologists who claim their patients are being unfairly denied compensation. 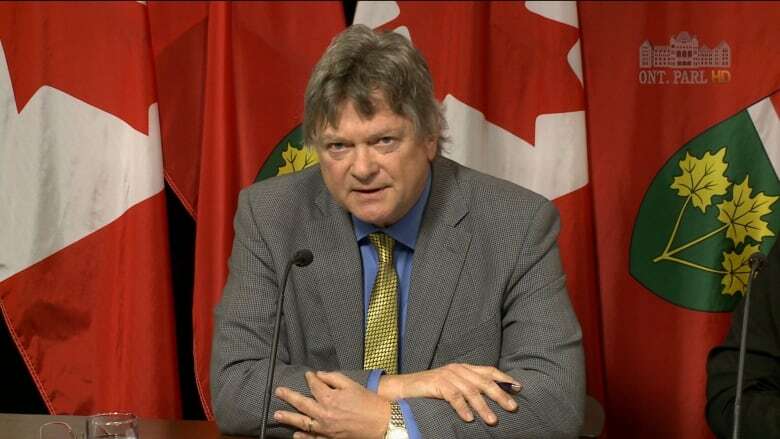 In a report, Prescription Over-Ruled, unveiled at Queen's Park Thursday, the group decried what it calls "the primitive practice of deeming injured workers eligible to resume work when physicians have clearly stated the opposite." At the news conference, Nancy Hutchison, secretary-treasurer of the Ontario Federation of Labour (OFL), said the report confirms "that the WSIB is more interested in clearing the caseload than supporting workers who have been seriously injured on the job and who require the benefits they are entitled to." Hutchison alleged injured workers are being ordered back to work against the advice of their treating physicians, "receiving insufficient treatment because of being cut off too early, and their injuries are being blamed on pre-existing conditions in order to deny their claims." Klaasen said that over the last five years "the WSIB has been impossible to work with." "We send out treatment plans and we do not hear back, we call and we're told things are in process and we do not hear back," he said. "After many months, we simply give up. When it is our opinion that someone cannot work we write detailed reports outlining why. Despite this, our clients get telephone calls stating they're going to be developing a return-to-work plan and they need to show up in a few weeks." Klaasen claimed that when injured workers inform the WSIB their doctors "don't think they can work, they're often told that the WSIB worker hasn't looked at those reports and that they don't really matter." In a statement issued Thursday, the WSIB denied the OFL's allegations. It said it registers over 200,000 claims each year and takes its responsibility to injured workers very seriously. "When an injury occurs or an illness is diagnosed, the WSIB acts quickly to ensure workers receive timely, specialized medical care," the statement said. "A worker injured on the job receives medical care that is significantly beyond what Ontario Health Insurance Plan (OHIP) would cover for someone not injured at work." The WSIB said "92 per cent of injured workers are back at work within one year of their injury at full wages. Fewer than two per cent of claims are appealed, and in 2015, we have received the fewest number of appeals since 1989." Klaasen said "silence is not an ethical option" for him. "Just as with any other abuse of process, we are asking that WSIB be formally investigated by a body other than itself," he said.